Mathias Siems has been Professor of Commercial Law at Durham University since 2011. Since January 2019 he is on special leave from Durham University as he has been appointed Professor of Private Law and Market Regulation at the European University Institute (EUI) in Florence, Italy. 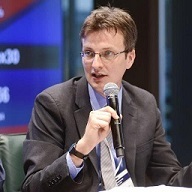 He is also a Research Associate at the Centre for Business Research, University of Cambridge, a Research Associate at the London Centre for Corporate Governance and Ethics, Birkbeck, University of London, and an Invited Fellow at the Maastricht European Law Institute. Previously, he was a professor at the University of East Anglia, a reader at the University of Edinburgh, an associate professor at the Riga Graduate School of Law, a Fulbright Scholar at Harvard Law School, and a Jean Monnet Fellow at the European University Institute in Florence. He is a graduate of the Universities of Munich and Edinburgh. For his full CV, including all publications, please see here. Siems, Mathias (2014). Comparative Law. Cambridge University Press. Siems, Mathias (2008). Convergence in Shareholder Law. Cambridge Cambridge University Press. Siems, Mathias & Mac Sithigh, Daithi (2017). Why Do We Do What We Do? Comparing Legal Methods in Five Law Schools through Survey Evidence. In Rethinking Legal Scholarship: A Transatlantic Interchange. van Gestel, Rob Micklitz, Hans & Rubin, Edward L. Cambridge Cambridge University Press. 31-83. Siems, Mathias (2014). The Curios Case of Overfitting Legal Transplants. In The Method and Culture of Comparative Law: Essays in Honour of Mark Van. Adams, Maurice & Heirbaut, Dirk Hart Publishing. 133-146. Siems, Mathias & Cabrelli, David (2013). Comparative Company Law: A Case-Based Approach. Hart Publishing. Gerner-Beuerle, Carsten, Mucciarelli, Federico M., Schuster, Edmund & Siems, Mathias (2018). Cross-border reincorporations in the European Union: the case for comprehensive harmonisation. Journal of Corporate Law Studies 18(1): 1-42. Deakin, Simon, Sarkar, Prabirjit & Siems, Mathias (2018). Is There a Relationship Between Shareholder Protection and Stock Market Development?. Journal of Law, Finance, and Accounting 3(1): 115-146. Siems, Mathias (2018). Malicious Legal Transplants. Legal Studies 38(1): 103-119. Ahiabor, Frederick S., James, Gregory A., Kwabi, Frank O. & Siems, Mathias M. (2018). Shareholder protection, stock markets and cross-border mergers. Economics Letters 171: 54-57. Schnyder, G., Siems, M. & Aguilera, Ruth (2018). Twenty years of ‘Law and Finance’ time to take law seriously. Socio-Economic Review 1-30. Gerner-Beuerle, Carsten, Mucciarelli, Federico M., Schuster, Edmund & Siems, Mathias (2018). Why do businesses incorporate in other EU Member States? An empirical analysis of the role of conflict of laws rules. International Review of Law and Economics 56: 14-27. Siems, Mathias & Nelken, David (2017). Global social indicators and the concept of legitimacy. International Journal of Law in Context 13(04): 436-449. Chen, Ding Deakin, Simon Siems, Mathias & Wang, Boya (2017). Law, Trust and Institutional Change in China: Evidence from Qualitative Fieldwork. Journal of Corporate Law Studies 17(2): 257-290. Siems, Mathias & Alvarez-Macotela, Oscar (2017). The G20/OECD Principles of Corporate Governance 2015: A Critical Assessment of their Operation and Impact. Journal of Business Law 2017(4): 310-328. Siems, Mathias (2016). Legal Research in Search of Attention: A Quantitative Assessment. King's Law Journal 27(2): 170-187. Siems, Mathias (2016). Varieties of Legal Systems: Towards a New Global Taxonomy. Journal of Institutional Economics 12(03): 579-602. Zhou, Tianshu & Siems, Mathias (2015). Contentious Modes of Understanding Chinese Commercial Law. Journal of International Commercial Law 6(2): 177-200. Cabrelli, David & Siems, Mathias (2015). Convergence, Legal Origins and Transplants in Comparative Corporate Law: A Case-Based and Quantitative Analysis. American Journal of Comparative Law 63(1): 109-153. Katelouzou, Dionysia & Siems, Mathias (2015). Disappearing Paradigms in Shareholder Protection: Leximetric Evidence for 30 Countries, 1990-2013. Journal of Corporate Law Studies 15(1): 127-160. Siems, Mathias (2014). Bringing in Foreign Ideas: The Quest for 'Better Law' in Implicit Comparative Law. The Journal of Comparative Law 9: 119-136. Gelter, Martin & Siems, Mathias (2014). Citations to Foreign Courts – Illegitimate and Superfluous, or Unavoidable? Evidence from Europe. American Journal of Comparative Law 62(1): 35-85. Siems, Mathias & Schnyder, Gerhard (2014). Ordoliberal Lessons for Economic Stability: Different Kinds of Regulation, Not More Regulation. Governance 27(3): 377-396. Mukwiri, Jonathan & Siems, Mathias (2014). The Financial Crisis: A Reason to Improve Shareholder Protection in the EU?. Journal of Law and Society 41(1): 51-72. Gelter, Martin & Siems, Mathias (2013). Language, Legal Origins, and Culture before the Courts: Cross-Citations between Supreme Courts in Europe. Supreme Court Economic Review 21(1): 215-269. Siems, Mathias & Mac Sithigh, Daithi (2012). Mapping Legal Research. The Cambridge Law Journal 71(03): 651-676. Siems, Mathias & De Cesari, Amedeo (2012). The Law and Finance of Share Repurchases in Europe. Journal of Corporate Law Studies 12(1): 33-57. Siems, Mathias, Herzog, Leif & Rosenhäger, Erik (2011). The Protection of Creditors of a European Private Company (SPE). European Business Organization Law Review 12(1): 147-172. Siems, Mathias (2010). Citation Patterns of the German Federal Supreme Court and of the Court of Appeal of England and Wales. King's Law Journal 21(1): 152-171. Armour, John, Deakin, Simon, Lele, Priya & Siems, Mathias (2009). How Do Legal Rules Evolve? Evidence from a Cross-Country Comparison of Shareholder, Creditor and Worker Protection. American Journal of Comparative Law 57(3): 579-629. Siems, Mathias (2009). Regulatory Competition in Partnership Law. International and Comparative Law Quarterly 58(4): 767-802. Armour, John, Deakin, Simon, Sarkar, Prabirjit, Siems, Mathias & Singh, Ajit (2009). Shareholder Protection and Stock Market Development: An Empirical Test of the Legal Origins Hypothesis. Journal of Empirical Legal Studies 6(2): 343-380. Siems, Mathias (2008). Legal Originality. Oxford Journal of Legal Studies 28(1): 147-164.